Collective action, solidarity, power in a Union. These are the bedrock principles upon which the Labour Party was built, and these were the values on display at Saturday’s March for a People’s Vote when more than 100,000 people took to the streets to demand their democratic right to have their say on the final Brexit deal. It was a wonderful, good-tempered display of grassroots power and demonstrated visibly to the whole country (and, for that matter, the rest of the world) that Brexit is a big deal, but it is not a done deal. And yet, although I saw many red Labour flags waving below the clear blue sky on Saturday, although I was joined on the march by many other Labour MPs and MEPs, and although I met a huge number of committed Labour Party supporters and members who felt just as strongly as I do that we need a People’s Vote on the final Brexit deal, those leading Labour these days were not there marching alongside us. Their absence did not go unnoticed. The sheer strength of feeling on Brexit across the wider Labour movement should not be underestimated. The simple facts are these: Labour Party supporters, members and voters overwhelmingly oppose the hard Tory Brexit that this shambolic government is heading towards, and they overwhelmingly support giving the whole country a People’s Vote on the final Brexit deal. If we want to be a party that properly reflects the wishes of our membership, we must reject the bad Brexit deal being negotiated at the behest of people like Jacob Rees-Mogg, and we must support giving the people a say over the terms of Brexit. The consequences of this decision will resonate for decades to come. It is only right that the people are involved in the process, whether they live in parts of the country that voted Leave or Remain. It’s not our fault this government has refused to listen to what people who voted Leave truly want from Brexit, nor invested time understanding the anxieties of those who voted Remain. Now it’s gone so far that only a People’s Vote can give our nation the hope of expressing their views on the final deal and deciding whether it matches the ambition we all have for our country going forward. The referendum was based on promises, a People’s Vote will be based on facts. That is the difference and that is why it is the only hope we have of reconciling our country, whatever the result. Brexit is a complex, difficult, emotionally fraught and traumatic issue for our entire country, and political parties are just as exposed as everyone else. The process of leaving the EU has laid bare deep schisms in our society that will take a long time to heal, whatever the outcome of the Brexit negotiations. But that must not be used as an excuse for not taking a stand on the most important issue that has faced our country in generations. The Labour Party is the single greatest vehicle for social justice in the history of our country and we have always stood up to be counted when it matters most. It’s not good enough just to say “Brexit is too difficult” or “we must avoid upsetting anyone”, then to stand on the side-lines, afraid of our own shadow. Fortune favours the brave, not the bystanders. History is not kind when good people do nothing. Let’s have the courage of our convictions, let’s represent the views of our members and the traditions of our great party, and let’s back a People’s Vote on the final Brexit deal. It’s too big to ignore. 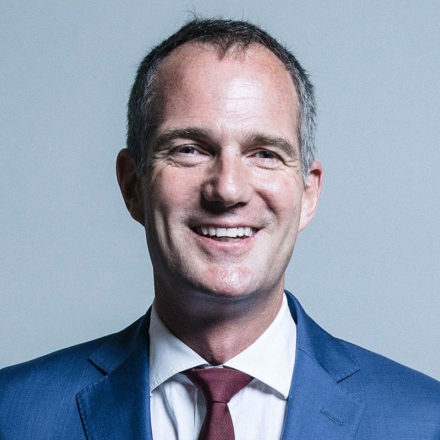 Peter Kyle is MP for Hove and leading supporter of the People’s Vote campaign.